The U.S. average retail price of diesel spiked 4.2 cents to $3.313 a gallon as oil prices climbed to levels not seen in four years. Besides oil prices being at a four-year high, diesel is at its highest price since Dec. 15, 2014, when it was $3.419. It was the sixth consecutive weekly increase, and trucking’s primary fuel has risen 10.6 cents since Aug. 20. Diesel costs 52.1 cents a gallon more than it did a year ago, when the price was $2.792, the Department of Energy said Oct. 1. The average price was up in all regions, and highest in California, where it pushed past $4 a gallon to $4.038. The national average price for regular gasoline rose 2.2 cents to $2.866 a gallon, DOE’s Energy Information Administration said. The average is 30.1 cents higher than it was a year ago. The average gasoline price rose in all regions except the Central Atlantic and Rocky Mountain districts. 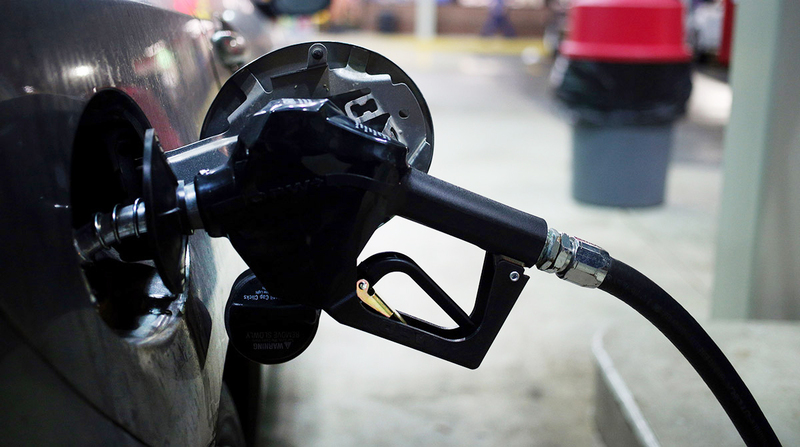 The steepest increase came in the Lower Atlantic at 4.3 cents a gallon. Meanwhile, one fleet executive wants even better miles per gallon out of new trucks whose standard specs already are impressive when it comes to fuel efficiency. He challenged two truck makers he buys from to make that happen. “ ‘You’re the experts, build me two trucks each and put anything non-Blue Sky — meaning it’s not new [componentry], not something that can’t be serviced out in the field but can be installed on the truck — on the truck that can get me 10 miles per gallon. That’s what I want,’ and I told them,” Brett Wacker, vice president of maintenance at Dart Transit Co., told Transport Topics. Eagan, Minn.-based Dart uses between 2.5 million to 2.6 million gallons of fuel a month with about 2,300 tractors, Wacker said. Dart Holding Co. ranks No. 68 on the Transport Topics Top 100 list of the largest for-hire carriers in North America. “We had our first truck [the week of Sept. 24] hit 10 mpg over 8,800 miles, 9.976 mpg, actually. But I’m calling it 10,” Wacker said. To get to 10 mpg, the truck makers changed the horsepower rating, installed aerodynamic wheel covers and tractor tandem fairings, took weight out of the truck and adjusted the engine parameters. Dart’s super trucks also come with an auto start/stop feature, which reduces the need for aftertreatment, he said. “The one thing you have to always remember with this is every gallon of fuel we burn, we produce hydrocarbons that we then have to burn off our diesel particulate filters. The more we burn off a DPF, the shorter its life is. It is unforgiving if you idle too much,” Wacker said. “You can order this stuff through [the truck makers’] systems. It’s not promoted very much because it is not the standard. So that’s when you have to ask the questions of the engineering group,” he said. In all, creating his super trucks raised each truck’s price by $15,000, compared with trucks built to Dart’s normal spec, he said. “Sometimes you have to go after a goal. Those super trucks got 1 to 1.4 better mpg than the sister trucks that didn’t have anything on them,” Wacker said. In the meantime, oil prices have spiked over concerns of less crude coming from Iran and Venezuela. U.S. sanctions have dissuaded importers from purchasing Iranian oil, as President Donald Trump and King Salman bin Abdulaziz of Saudi Arabia discussed efforts to maintain supplies. “Right now, we’re just in a bull market for oil because of the prospects of a very tight market later on in the year,” John Kilduff, founding partner at New York-based hedge fund Again Capital, told Bloomberg News. At the same time, one oil company executive says the market is too focused on the slumping supply side. “The market has overlooked the results of the U.S.-China trade war, how that might impact the global economy, China’s growth and the regional economy in Asia,” said Janet Kong, CEO of Eastern Hemisphere integrated supply and trading at BP, told Bloomberg. Crude oil futures trading on the New York Mercantile Exchange closed Oct. 3 at $76.41 per barrel compared with $72.08 on Sept. 24. At the same time, the United States exported 7.3 million barrels per day of crude oil and petroleum products in the first half of 2018, the largest amount of crude oil and petroleum product exports ever for the first six months of a year, EIA reported.